Book Alleppey boat house for family for day cruise, overnight cruise. 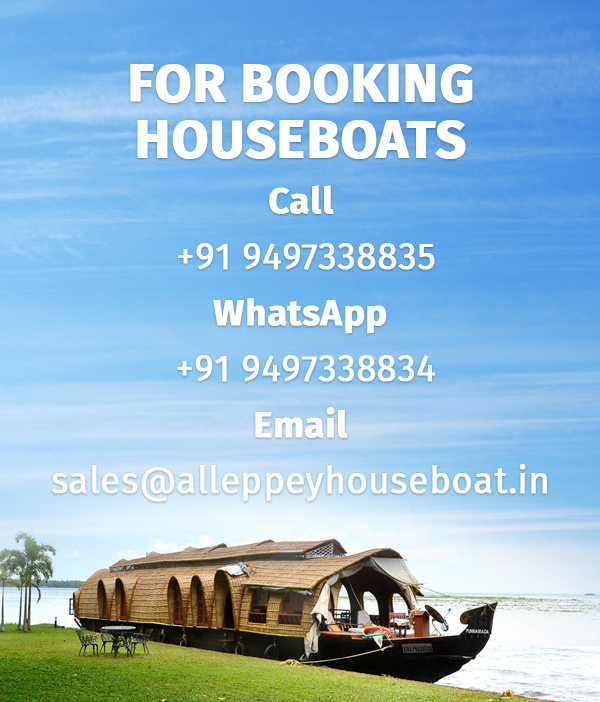 Alleppey houseboats for family starts from ₹7000 deluxe houseboats with bedroom and goes up to 11 room houseboats. You can organize family get together, wedding, reception, engagement an more functions in the most beautiful backwater cruise. The 22 hours full day with overnight houseboat rates includes Lunch, Evening Tea/Coffee, Dinner, morning bed coffee and Breakfast with fixed menu only. Day 2 Houseboat will be cruising in the lake from 7.30 am to 9.30 am.